Orchid has significant experience in the legal and financial services industry and knowledge of corporate governance and fiduciary principles, related Bermuda laws and regulatory requirements. She also brings expertise in private and corporate trusts, including unit trusts, estates, mutual funds and regulatory compliance. 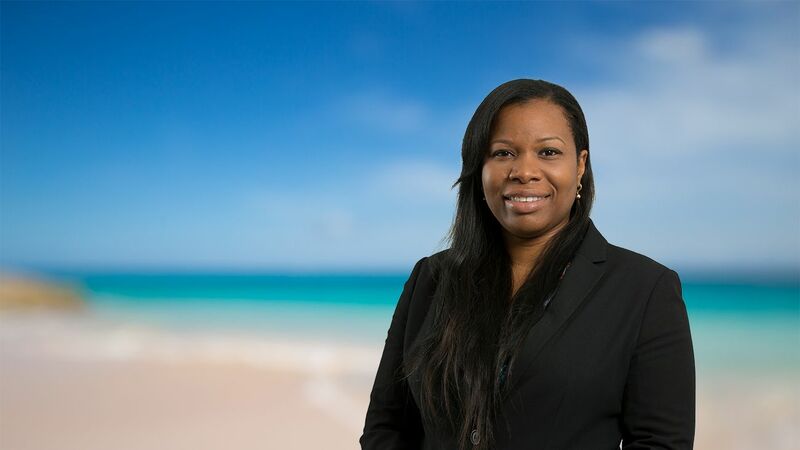 Orchid is a qualified Attorney-at-Law admitted to practice in Bermuda and the Cayman Islands as well as a Barrister and Solicitor-at-Law of England and Wales. Previously, Orchid worked at Clarien Bank Limited in Bermuda as Senior Legal and Regulatory Compliance Officer. Prior to this, she worked at HSBC in Bermuda as Global Legal Counsel and Appleby in the Cayman Islands as an Associate. Qualified Lawyers Transfer Test, UK, Certificate, Solicitor at Law, 2011. City of Law School, UK, Barrister-at-Law, Professional Legal Skills, 2001. University of Kent, UK, Bachelor of Arts, Joint Honours Law and Economics, 1998. Lester B. Pearson College, Canada, International Baccalaureate Diploma, 1995. Member of Society of Trust and Estate Practitioners. Member of the Caymanian Bar Association. Member of the Bermuda Bar Association. Member of Lincoln's Inn.